The only clue as to the time of year that this breaking dawn shot was taken, is the snow capped ridge, but for anyone that knows the area, the sun comes closest to rising behind the castle in the middle of winter. 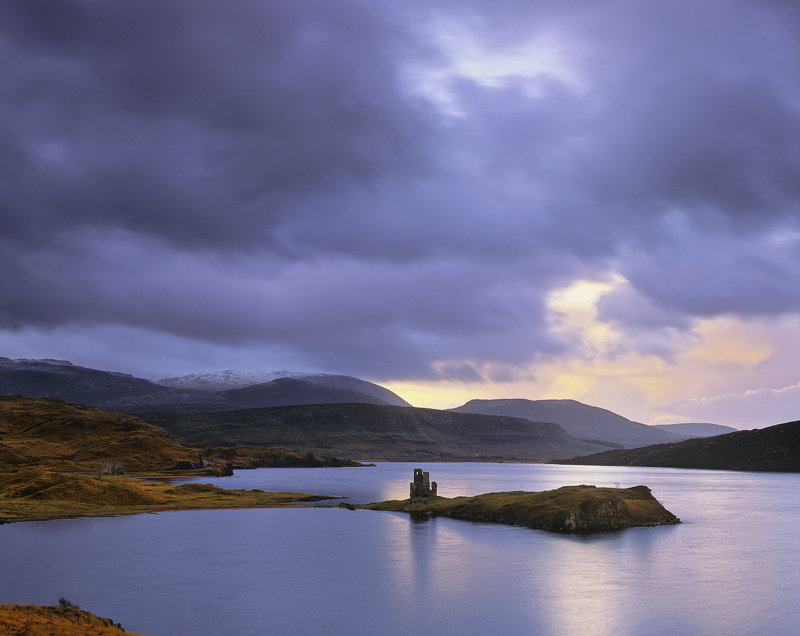 A high view point permits separation between the top of the castle and the end of the loch. Timing however is pretty crucial to the success of this shot as without the ring of light around the castle and the consequent reflection shadow the castle is diminished to an insignificant cubic lump on an island. I was very taken with the purple skies and opposing colour of the orange deer grass covered hills.